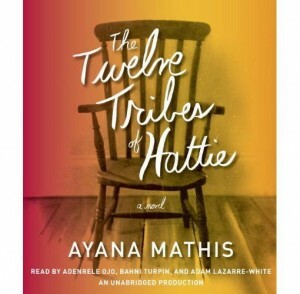 As part of our bi-monthly book club, in collaboration with the French American Center, we have the pleasure to announce that we are debating “The Twelve Tribes of Hattie” by American best-selling author Ayana Mathis, published by Windmill, on March 20th at 7 PM. Ayana Mathis is a graduate of the Iowa Writers’ Workshop and published in 2012 her first novel, “The Twelve Tribes of Hattie”, that was an immediate success in the United States, for both the media and the public. It deals with the Great Migration, the difficulties of African Americans from the 1920’s to the 1980’s, and the hardships experienced by an unforgettable family. Anyone wishing to discuss this novel in English is welcome to our Book Club. In 1923, a young 15 year old girl named Hattie Shepherd, fled Georgia and the racist south, and moved to Philadelphia in the hopes of a better life. Instead, she marries a man that will only bring her disappointment, and she sees her first born twins succumb to a disease, pneumonia, that a few pennies could heal. Hattie will give birth to nine other children that she raises with courage and determination, but traumatized and hardened by the death of her twins, she can never show them affection. She will prepare her children to face the difficulties of life, to cope with a world that does not like them. Captured in 12 radiant chapters, their life (the eleven children and one granddaughter of Hattie), is traced through sometimes one day or longer moments and shows monumental courage of a mother and the journey of a nation. It’s a moving novel that shows us the hardness of life, but not without hope. A great success for a first novel. Do not hesitate to join us March 20 at 7 PM. We will discuss it in English!! The book is sold at 10.90 Euros at the Sauramps library in the center of town, with a 10 % deduction at the counter.